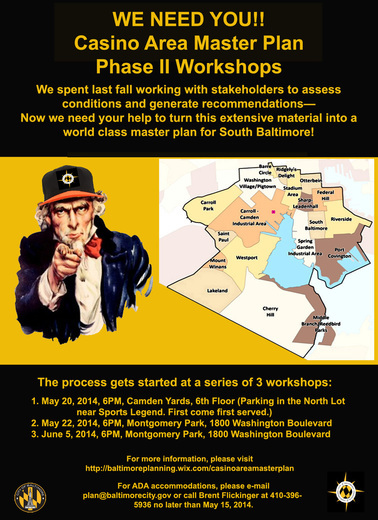 The Compass is a monthly eNewsletter of the Baltimore City Department of Planning. As the impacts of climate change are felt more and more frequently, both here and around the globe, the need for effective sustainability planning becomes much more obvious. I am therefore pleased to join the Mayor in announcing the official launch of Baltimore's Growing Green initiative (GGi). The GGi will promote and implement a variety of sustainable, innovative and effective practices that will help beautify our city, while at the same time aiding in the effort to become a more sustainable urban environment. 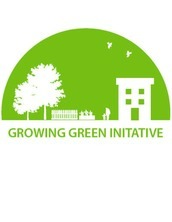 As part of the GGi launch, Baltimore City, the EPA, and the Chesapeake Bay Trust are sponsoring the Baltimore Growing Green Design Competition: Vacant Lots Transformed. I encourage you to learn more and participate in the competition (click here form more info). I look forward to the results of the Growing Green Design Competition, and hope to present some of the winning innovative greening designs in a future edition of The Compass. BCRP will be hosting 2 public forums about recreation and parks. The forums will be held on Wednesday May 28th in Cherry Hill and Thursday May 29th at Clifton Park. The meetings are public meetings open to all. The purpose of each meeting will be to gather input from Baltimore city residents about what they think is important for BCRP to provide in recreation and parks. The Department is in the process of assessing its current recreation services and has hired a consultant to help think about the agency’s mission and vision moving forward. 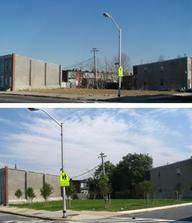 Creating community spaces that mitigate the negative impacts of vacant properties. As part of the Growing Green Initiative, the Mayor was also joined by EPA Regional Administrator, Shawn Garvin, to announce an exciting design competition to identify creative ideas for transforming vacant lots in Baltimore City. Baltimore Growing Green Design Competition: Vacant Lots Transformed, is a partnership between the City of Baltimore, U.S. Environmental Protection Agency, and the Chesapeake Bay Trust. 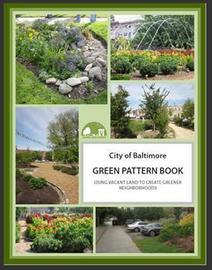 Teams of community groups, City agencies, designers, and technical experts will use the Green Pattern Book (see below) to develop creative greening projects for vacant land in their communities. For example, the photos above show the transformation from a vacant lot to an inviting green space with newly planted trees and grass. The top photo shows the Franklin Square Sunflower Garden, which is a Community Managed Open Space that treats storm water from nearby buildings with rain gardens and sunflower beds. The top design competition proposals will be selected as winners, and all winners will be provided with the resources to fully design and construct their winning ideas. Winners will be required to provide an ongoing maintenance plan. For more information and the application process for the competition please click here. Yesterday's Growing Green event also celebrated the release of the Green Pattern Book, a design guide for City agencies, NGOs, community-based organizations, and individual residents to green vacant land. Mixed Greens (a combination of the patterns. 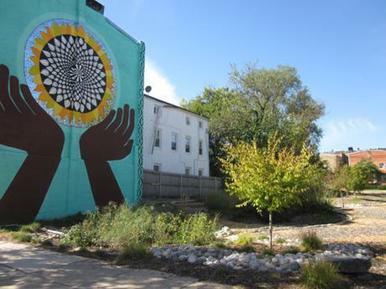 It is intended to spur creative ideas while also helping to manage expectations and to help different groups understand how they can effectively partner with each other to transform and green vacant lots. For more information on the Green Pattern Book and the Growing Green Initiative please visit the growing green website.